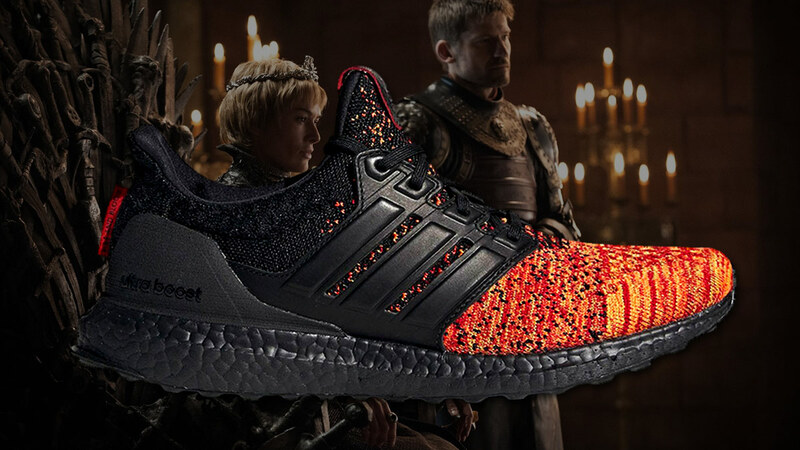 It turns out these leaks aren't 100% accurate as adidas has just officially unveiled the second shoe in its Game of Thrones collab: the "House Targaryen Dragons." 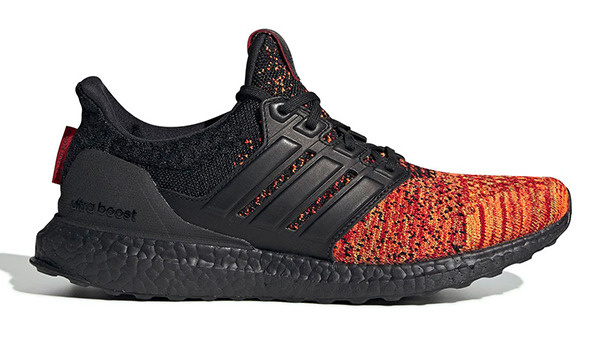 That slight digital-like (or Thanos snap-like if you prefer) transition from red to black is a neat touch but it's elsewhere that this sneaker makes us excited: that black Boost sole. Real talk, one of the biggest barriers to UB ownership is the fact that you may not want those super white foot cushions. 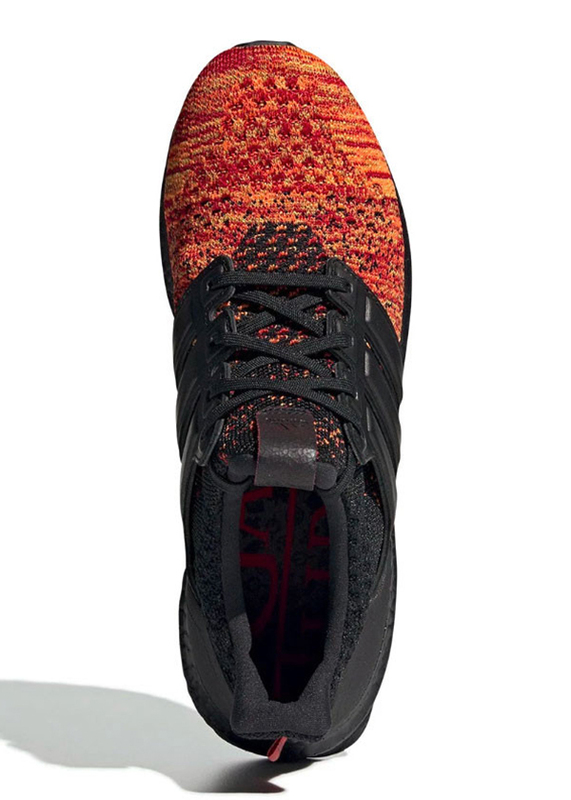 adidas finally gave us murdered out Boost soles a year or two ago but if the triple black colorways they were mounted to were too...black, then this colorway is one of your very few options! 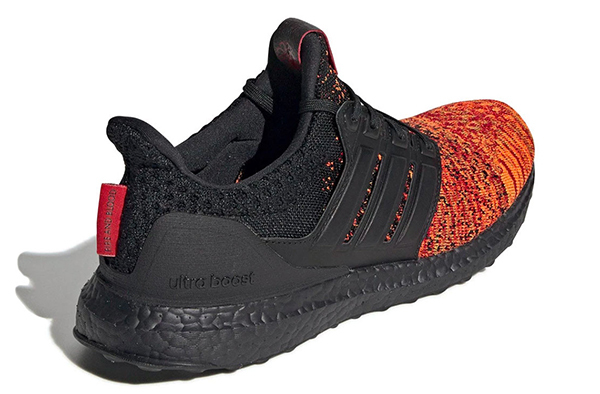 Similar to the first Targaryen edition, these are very low-key aside from the "Fire and Blood" tag on the heel and logo inside the tongue—making them super wearable for even a non-diehard Daenerys fan. 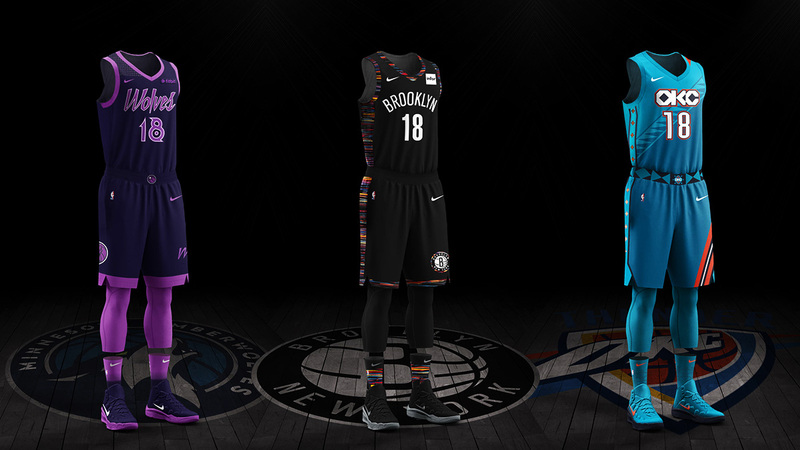 And just like the rest of the soon to be unveiled collection, get ready to cop them along with the final season's premiere!